THE OLDEST AND LARGEST VOLUME INDEPENDENT MORTUARY SERVICE IN THE HOUSTON/GALVESTON AREA AND SURROUNDING COUNTIES. Making sure the deceased are handled accordingly and respectfully is important in a mortuary company. With KIRK MORTUARY SERVICE OF HOUSTON, you get the finest quality services at a reasonable price. We provide the leading commercially licensed embalming services in the area. We use well-maintained equipment and a modern fleet for mortuary transportation. Our staff is always ready to serve your specific needs with the personalized care you deserve. Count on us to handle every service accordingly, to assist you as the funeral director in providing quality service to your families. Let us assist you with your Houston Area Needs. Since 1986, KIRK MORTUARY SERVICE OF HOUSTON has been an industry leader. That's because we consistently strive to improve our services for our clients. We understand that the funeral homes we work with provide a valuable, personalized service to their customer, and we are the backbone of their business. 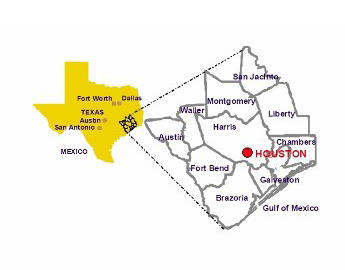 Serving an approximate 100-mile radius around Houston, Texas, including the counties of San Jacinto, Chambers, Fort Bend, and Harris. Additionally, we ship human remains worldwide.